If you’re reading this, you likely know that deploying a SIEM—and getting value out of it—is one of the most challenging projects for security and IT teams. Gartner has seen failed SIEM deployments in so many organizations that they’ve released a report, “Overcoming Common Causes for SIEM Solution Deployment Failures,” which details why organizations are struggling to unify their data and find answers from it. To download this report and the supporting resources, fill out the form to the right. 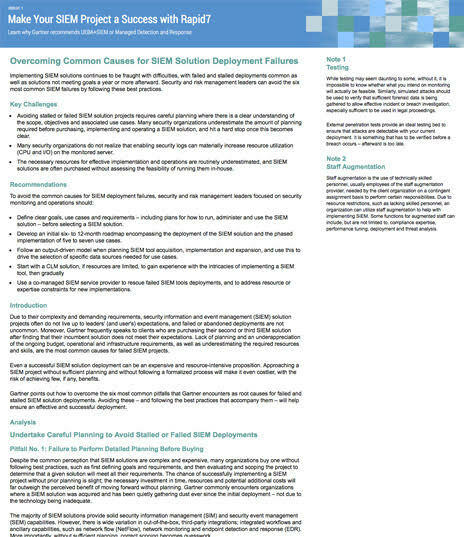 Learn why Gartner recommends UEBA+SIEM or Managed Detection and Response. In this report, Gartner analysts Mitchell Schneider, Kelly M. Kavanagh, and Toby Bussa explain key pitfalls when it comes to successfully deploying a SIEM. 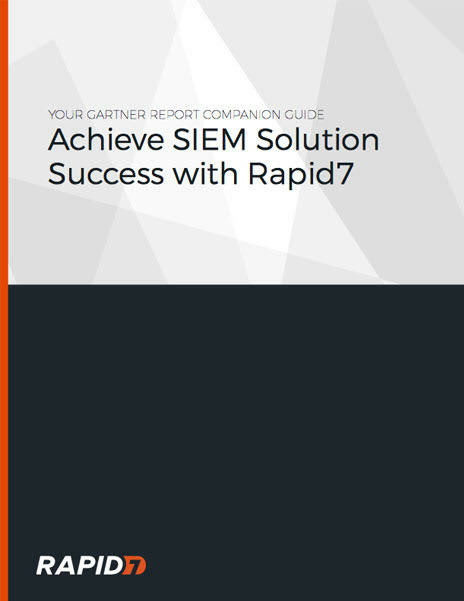 In this guide we break down the six challenges that Gartner attributes to SIEM solution failure, and address how you can overcome them with Rapid7 solutions. InsightIDR relentlessly hunts threats by bringing SIEM, User Behavior Analytics (UBA), and Endpoint Detection and Response (EDR) capabilities to your environment. 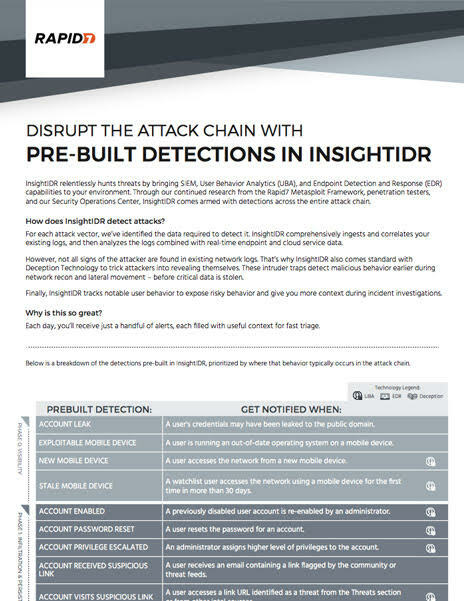 With our unmatched knowledge of the attacker mind-set, we’ve designed InsightIDR with pre-built detections that notify you of risky behavior across the entire attack chain.